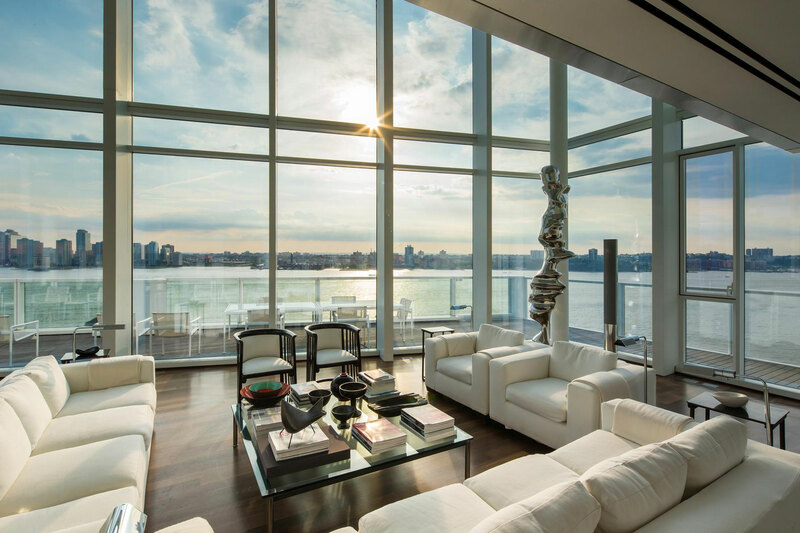 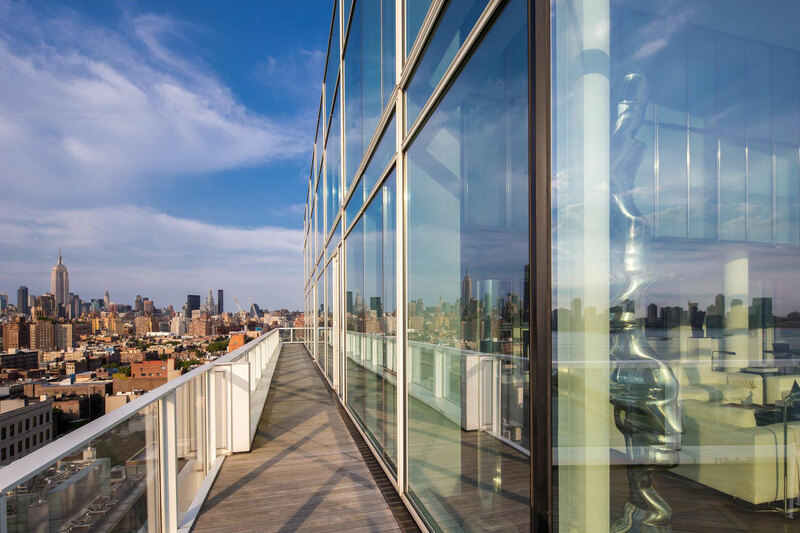 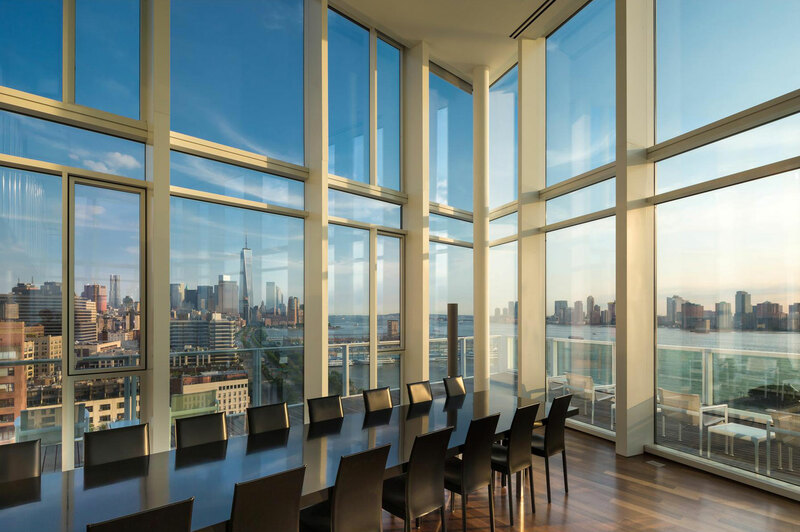 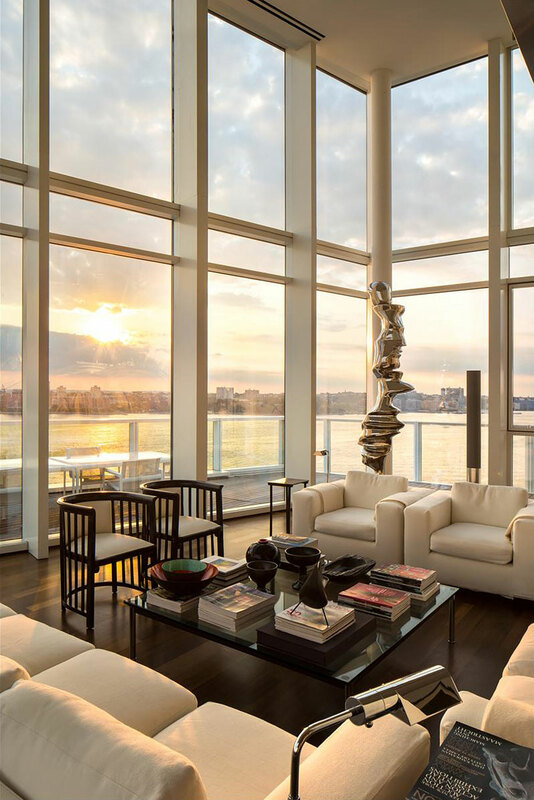 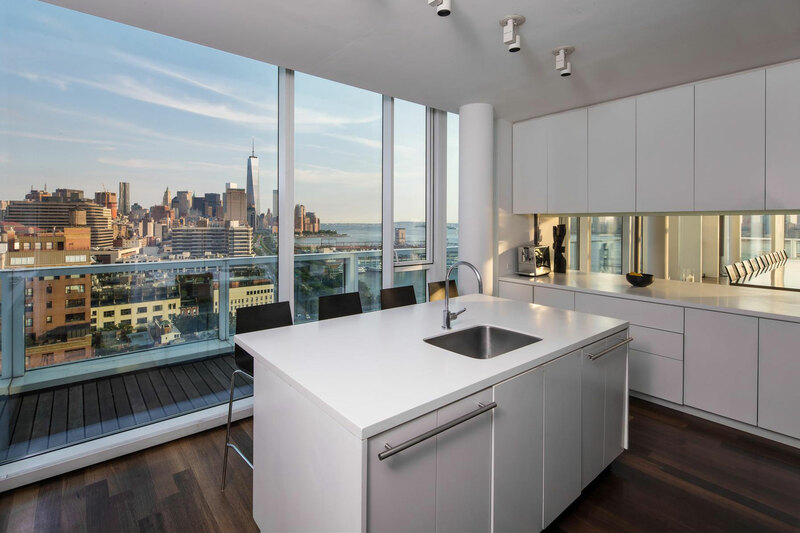 The Apartment at 165 Charles Street has been designed by the New York based studio Richard Meier & Partners. 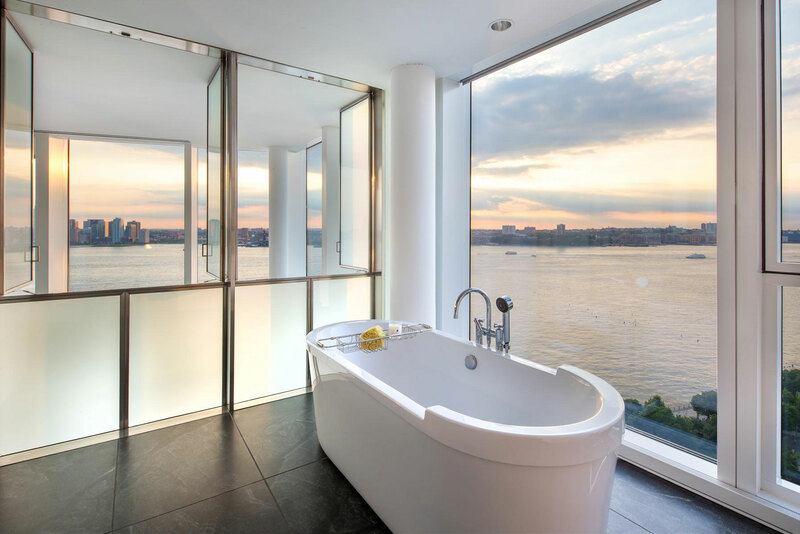 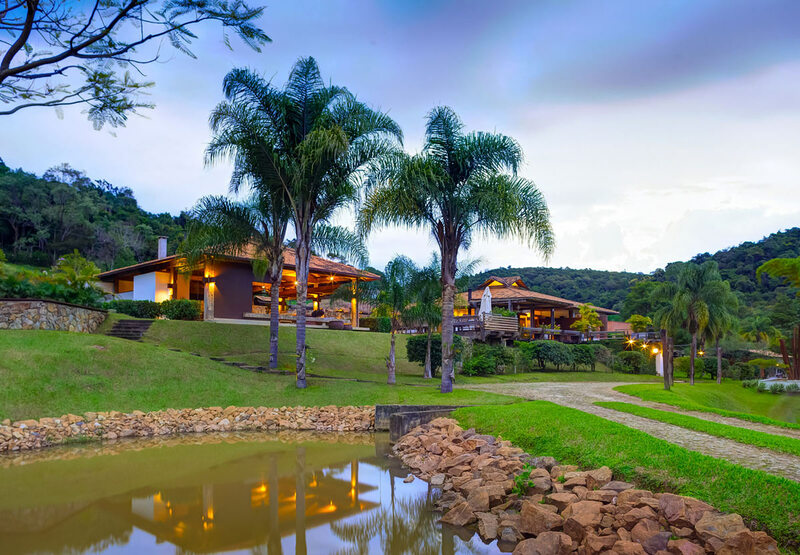 This stunning four bedroom, four bathroom apartment spans 4,551 square feet. 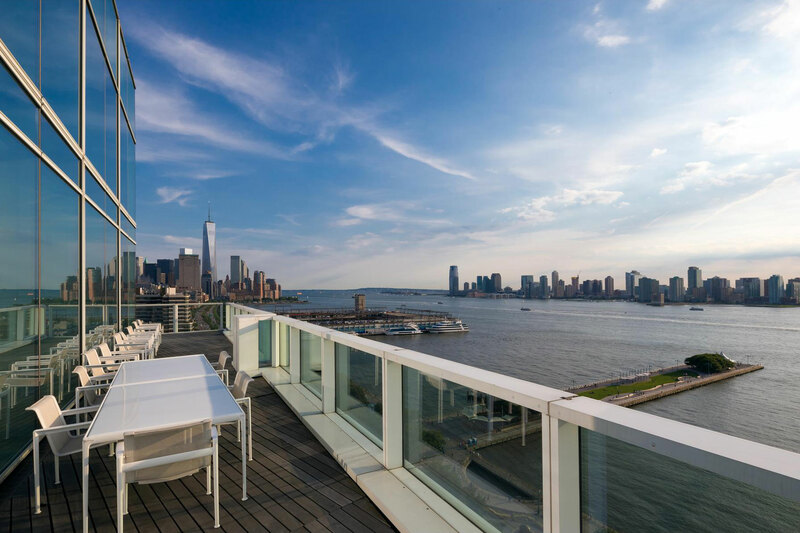 The magnificent views over the Hudson river and city skyline include the Empire State building and One World Trade Center. 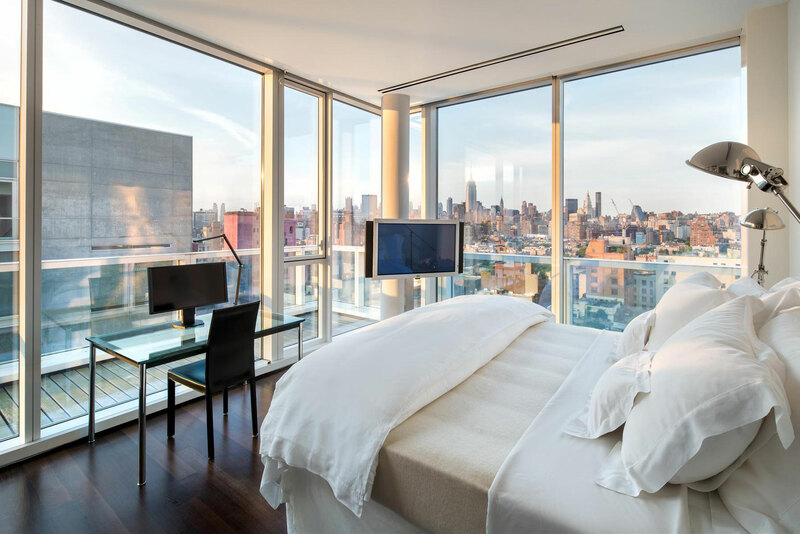 The 165 Charles Street Apartment is located in the Meatpacking District, a neighborhood of Manhattan, New York City, USA.